I had a GREAT wedding today! So, what are you trying to portray?? I don't understand your question. 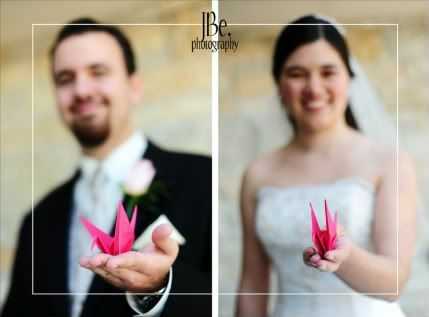 The cranes were origami from their wedding (it's the Chinese symbol for marriage) -- and this is just a fun shot I did.